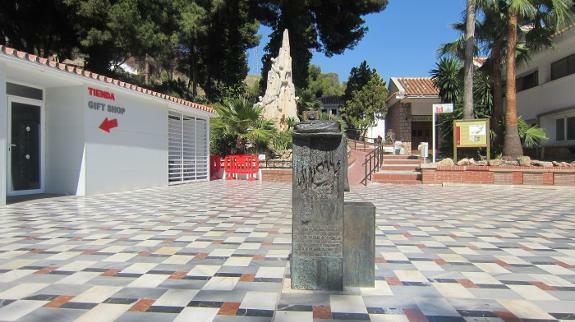 Thieves managed to get into the offices of the Nerja caves where they broke a ticket machine and made off with two safes before abandoning them in the mountains. The robbery occurred during the early hours of Sunday morning with the culprits managing to force open the safes and steal 50,000€ along with 80 lottery tickets commemorating the 60th anniversary of the discovery of the caves. The empty safes where discovered by a walker on Monday just 200 metres from the entrance to the caves. Guardia Civil officers believe that the robbers looked for the codes for the safes as all the office draws had all been found left open. The thieves used ladders left by construction workers to gain access through the first-floor windows. The police are now analysing the security cameras as well as looking at the employee timetable and the movements of outside companies who work with the tourist attraction. Cuevas de Nerja manager, Chema Domínguez, has said that he and his team are "working to increase security" at the cave "to avoid a repetition of last weekend's incident". He added that cave staff is "waiting to see how the investigation develops" and are "confident that the Guardia Civil will solve the crime and find the culprits". The robbery comes at the start of a series of events planned to celebrate the 60th anniversary of the discovery of the caves on January 12th 1959 when five local boys out hunting bats stumbled on the archaeological find. Domínguez went on to say that the robbery had been "very unpleasant" and that the year had "started badly" for the caves, but that he is "confident" tightened security will "prevent a future robbery.